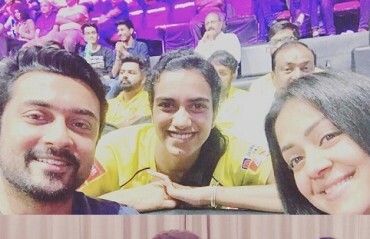 PV SINDHU shared an image of herself with Tamil superstars including Surya and Ajith Kumar and their families. 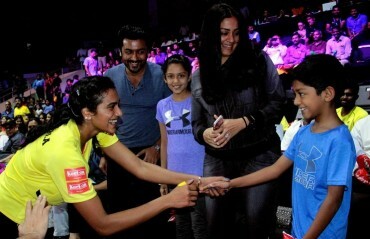 SURYA, the Tamil movie superstar and family were present among the fans to watch Chennai Smashers beat Bengaluru Blasters on Monday. SUMEETH REDDY AND LEE YANG displayed their heroics to help Chennai Smashers beat Bengaluru Blasters in the latter's trump match. CHENNAI SMASHERS defeat Bengaluru Blasters 3-2 but the latter goes on top of the points table despite the loss. IT TOOK 51 shot rally for Tanongsak of Chennai Smashers to end Prannoy's winning run. 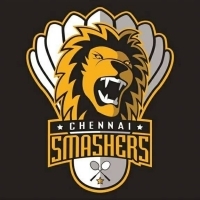 CHENNAI SMASHERS defeated Ahmedabad Smash Masters 2-1 in their first home match of the season in Chennai. CHENNAI SMASHERS will be missing out on the services of the doubles star shuttler Gabby Adcock due to an ankle injury. 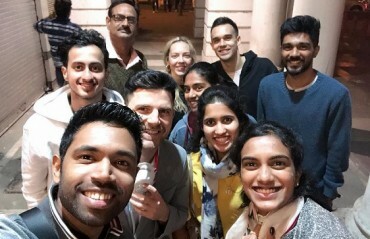 DELHI DASHERS won the tie 3-0 beating Chennai Smashers in an unfortunate situation where Gabriella Adcock couldn't continue in her mixed doubles contest due to an injury she picked up and had to retire hurt. CHENNAI SMASHERS teammates spend new years day watching 'Jumanji'. Chennai Smashers Press Meet Photos!